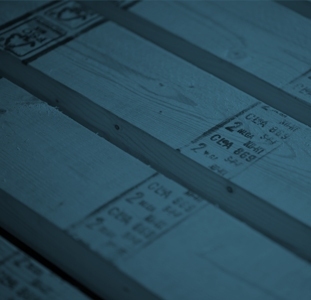 August 15, 2013 – Montréal, Québec and Vancouver, British Columbia – EACOM Timber Corporation (ETR: TSX-V) (“EACOM”, or the “Company”) is pleased to announce its second quarter results for the three-month period ended June 30, 2013. During the second quarter of 2013, housing starts in the United States averaged 872,000 units, down 9% from the previous quarter but up 18% from the corresponding quarter of 2012. In Canada, a different pattern emerged with housing starts averaging 186,000 units, up 6% from the previous quarter but down 19% from the corresponding quarter of 2012. 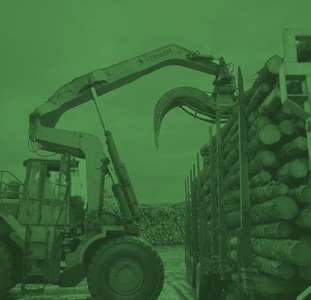 Demand for lumber has somewhat softened during the quarter, leading to a softening of the strong pricing environment that had prevailed during the previous quarter and contributing to lower mill realizations. However, manufacturing costs relative to sales were lower than those incurred in the previous quarter which had been impacted by additional costs still being incurred as a result of the fire at Timmins and no longer offset through business interruption claims, and by a longer than expected ramp-up at the Elk Lake mill where a substantial capital upgrade had been completed in the fourth quarter of 2012. As a result, the Company recorded a positive adjusted EBITDA of $2,983,000 for the quarter ended June 30, 2013, against a negative adjusted EBITDA of $855,000 in the previous quarter and a positive adjusted EBITDA of $2,568,000 in the corresponding quarter of 2012. On March 22, 2013, EACOM and Kelso & Company (“Kelso”) jointly announced that ET Acquisition Corporation, a corporation indirectly owned by funds managed by Kelso, had agreed, subject to certain conditions, to make a take-over bid to acquire all of the common shares of EACOM for a cash consideration of C$0.38 per common share (the “Offer”). On June 14, 2013, EACOM and Kelso announced that all the terms and conditions of the Offer had been satisfied or waived, and that ET Acquisition Corporation took up and accepted for payment 643,482,709 common shares deposited under the Offer, representing approximately 95% of the issued and outstanding common shares. The Offer was extended for an additional 10 days to allow shareholders of EACOM a further opportunity to deposit their common shares pursuant to the Offer and, on June 25, 2013, ET Acquisition Corporation took up and accepted for payment an additional 23,427,257 common shares which, together with the 643,482,709 common shares previously deposited under the Offer, represent approximately 98% of the issued and outstanding common shares in the capital of EACOM. ET Acquisition Corporation also announced that it would proceed with a compulsory acquisition procedure under the Business Corporations Act (British Columbia) to acquire the remaining shares at a price of C$0.38 per common share, being the same consideration as contained in the Offer. ET Acquisition Corporation sent a notice of acquisition under the compulsory acquisition procedure to all shareholders on June 26, 2013. If no objections to the C$0.38 price are made by August 26, 2013, ET Acquisition Corporation is expected to acquire the remaining common shares to hold 100% of the shares of EACOM on August 28, 2013. The TSX-V has halted the trading of the shares of EACOM, given the lack of liquidity as a result of the developments described above. For the quarter ended June 30, 2013, the net loss attributable to shareholders amounted to $17,242,000 or $0.03 per common share, against net earnings of $1,556,000 or $0.00 per common share in the previous quarter and a net loss of $933,000 or $0.00 per common share in the corresponding quarter of 2012. The current quarter results include costs of $3,338,000 related to the take-over bid by ET Acquisition Corporation to acquire all of the common shares of EACOM, and a financing expense of $14,076,000 arising mainly from the early redemption of the $40,000,000 10% senior secured debentures. The previous quarter results included a gain of $8,500,000 on business interruption, partially offset by transaction-related costs of $1,566,000. In the corresponding quarter of 2012, there were no such items. For the quarter ended June 30, 2013, the Company recorded sales of $88,279,000, up 24% against sales of $70,960,000 in the previous quarter and 35% against sales of $65,256,000 in the corresponding quarter of 2012. During the second quarter, the Company shipped 159 million board feet of lumber (128 million board feet in the previous quarter and 133 million board feet in the corresponding quarter of 2012) and 143,000 oven-dried metric tons of by-products (120,000 oven-dried metric tons in the previous quarter and 119,000 oven-dried metric tons in the corresponding quarter of 2012). Compared to the previous quarter and the corresponding quarter of 2012, shipments reflect higher production volumes. Pricing has softened in the second quarter of 2013 with benchmark lumber prices averaging US$438/Mfbm for studs and US$436/Mfbm for random lengths delivered Great Lakes, up 3% but down 10% from US$426/Mfbm and US$484/Mfbm, respectively, in the previous quarter. Mill realizations benefited from a slightly softer Canadian dollar with the exchange rate relative to the US$ averaging 0.977 in the second quarter of 2013, down 1% against an average of 0.991 in the previous quarter. Compared to the corresponding quarter of 2012, studs and random lengths are trading at prices 13% and 11% above the levels achieved last year, and the Canadian dollar is down 1%. Lumber production for the quarter ended June 30, 2013 was 144 million board feet of lumber, against 129 million board feet in the previous quarter and 109 million board feet in the corresponding quarter of 2012. During the second quarter, the Company operated at 57% of its capacity (51% in the previous quarter and 40% in the corresponding quarter of 2012). The second quarter saw increased production levels at Elk Lake and, to a lesser extent, at Nairn Centre and Gogama. The previous quarter was impacted by a longer than expected ramp-up at the Elk Lake mill where a substantial capital upgrade had been completed in the fourth quarter of 2012 whereas in the corresponding quarter of 2012, operations in Val-d’Or and Matagami were temporarily shut down due to weak market conditions. At June 30, 2013, the Company had cash and cash equivalents of $16,874,000 and restricted cash of nil ($12,448,000 and $13,248,000, respectively, at March 31, 2013). Its credit facility was undrawn against a borrowing availability of $27,000,000 (undrawn against a borrowing availability of $22,220,000 at March 31, 2013). During the second quarter, the holders of the 200,000,000 common share purchase warrants agreed to exercise their warrants and tender the underlying common shares under the Offer. EACOM received proceeds of $40,000,000 from the exercise of the warrants. Under the indenture for the $40,000,000 10% senior secured debentures, the Company was required, and has completed the re-purchase of the $40,000,000 senior secured debentures for an amount of $44,000,000 (including a 10% change of control premium) plus accrued interest. Pursuant to the terms of the senior secured debentures, insurance proceeds of $18,900,000 collected in respect of the property damage claim that were required to be segregated pending the reconstruction of the Timmins mill were released of all restrictions. On June 18, 2013, the Company renegotiated its revolving credit facility. The amended terms provide for greater borrowing flexibility and a lower cost of borrowing. The new facility matures on June 18, 2018. EACOM Timber Corporation is a TSX-V listed company. The business activities of EACOM consist of the manufacturing, marketing and distribution of lumber, wood chips and wood-based value-added products, and the management of forest resources. EACOM owns seven sawmills, all located in Eastern Canada, and related tenures. The mills are Timmins, Nairn Centre, Gogama, Elk Lake and Ear Falls in Ontario, and Val-d’Or and Matagami in Quebec. The mills in Ear Falls, Ontario, and Ste-Marie, Quebec, are currently idled. The mill in Timmins which was seriously damaged by fire in January 2012 is under reconstruction. EACOM also owns a lumber remanufacturing facility in Val-d’Or, Quebec, and a 50% interest in an I-joistt plant in Sault Ste-Marie, Ontario. The financial information included in this release also contains certain data that are not measures of performance under IFRS. For example, “EBITDA” and “Adjusted EBITDA” are measures used by management to assess the operating and financial performance of the Company. We believe that EBITDA and Adjusted EBITDA are measures often used by investors to assess a company’s operating performance. EBITDA and Adjusted EBITDA have limitations and you should not consider these items in isolation, or as substitutes for an analysis of our results as reported under IFRS. Because of these limitations, EBITDA and Adjusted EBITDA should not be used as substitutes for net loss or cash flows from operating activities as determined in accordance with IFRS, nor are they necessarily indicative of whether or not cash flows will be sufficient to fund our cash requirements. In addition, our definition of EBITDA and Adjusted EBITDA may differ from those of other companies. A reconciliation of EBITDA and Adjusted EBITDA to net loss attributable to shareholders is set forth under “OVERVIEW OF FINANCIAL RESULTS – Supplemental Information on Non-GAAP Measures” in the Company’s current MD&A.